Jeni embodies the phrase, “That which does not kill us makes us stronger” – Friedrich Nietzsche. What Jeni and her daughter experienced could have pushed anyone to their breaking point. Jeni’s indomitable spirit did not allow her to give up on herself or her daughter. She learned she had stage-two breast cancer and she had to quit working. Like many during the recession, Jeni’s family struggled to keep their heads above water faced with financial problems. Jeni’s family traveled back and forth between California and Oregon – dependent on her husband’s work location. To make matters worse, she lived in a toxic environment with a verbally abusive husband. Her life slowly crumbled away due to her circumstances. 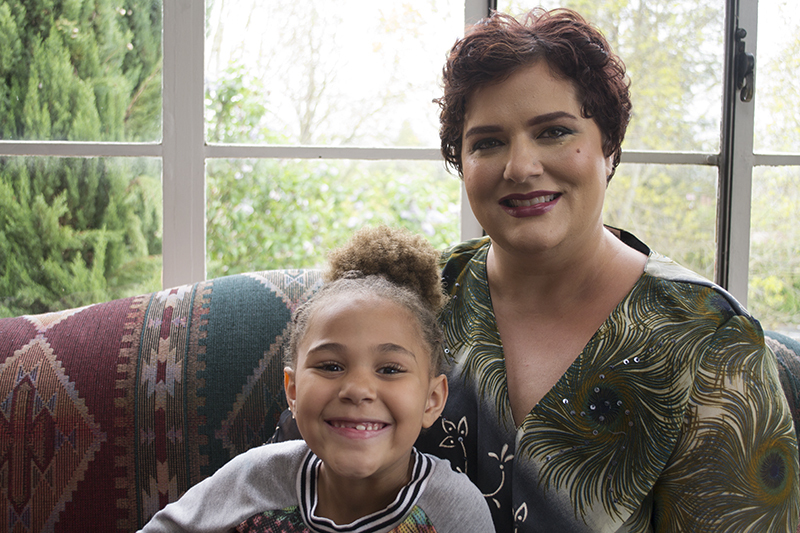 Jeni made a tough decision to leave her husband and moved back to Oregon with her daughter Kennedy. Jeni recalls living in an Extended Stay hotel as long she and her daughter could. She eventually ran out of money. She and her daughter lived in a tent in a friend’s backyard and resorted to living in her car when the temperature dropped – homeless. Jeni searched and applied frantically everywhere for housing. Luckily, she learned about the LifeChange Center for Women and Their Children. Jeni raved about the center’s atmosphere and having an amazing family she never had. She has come to believe ‘it takes a village to raise a child’ because she has seen the support of the moms at the center. Thankfully, Jeni’s cancer is in remission after her double mastectomy. She looks forward to completing the LifeChange program. Jeni also thinks about possibly going back to work in the medical field in an administrative position. With all of her basic needs met, Jeni focuses on herself now. The center gives her the opportunity to break the chains of the past. “I was completely given this opportunity by God – I know … and it was exactly what I needed,” said Jeni gratefully. Help moms like Jeni this Mother’s Day. Honor Your Mom by Helping a Mom by donating to Union Gospel Mission’s Women’s LifeChange.